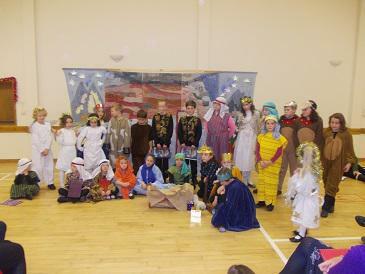 On 9th December the children performed the Christmas play “A Miracle in Town” to family and friends. It was a lovely performance, the children excelled themselves, nobody forgot their lines or positions and the singing was beautiful. Well done to the whole cast. Also a big thank you to the PTFA for providing the refreshments (£27.18 was collected in donations for the NSPCC, our Charity this year) and to everyone who helped with learning lines and making the costumes.